14ct yellow gold. 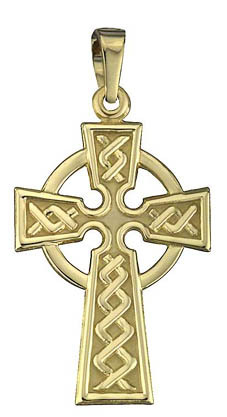 This traditional celtic cross is made in Ireland. This lovely celtic cross is the ancient irish design. It is solid 14ct yellow gold and made in Ireland. S8311 1.8cm wide x 2.6cm - This pendant is double sided. Chain is not included in price.